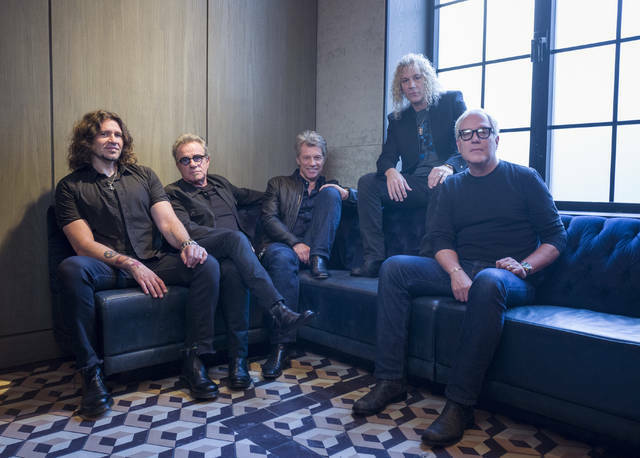 In this Oct. 19, 2016 file photo, members of Bon Jovi from left, Phil X, Tico Torres, Jon Bon Jovi, David Bryan and Hugh McDonald pose for a portrait in New York. The band will be inducted into the Rock and Roll Hall of Fame on April 14, 2018 in Cleveland, Ohio. NEW YORK — Iconic singer Nina Simone and New Jersey rockers Bon Jovi lead the 2018 class of Rock and Roll Hall of Fame inductees, which includes four first-time nominees. The six inductees were chosen from a group of 19 nominees, including Radiohead, who were expected to enter in the Rock Hall in their first year of eligibility, but didn’t make it. Tharpe, a pioneering guitarist who performed gospel music and was known to some as “the godmother of rock ‘n’ roll,” will be inducted with the “Award for Early Influence.” She died in 1973. The other five acts will be inducted as performers. He will be inducted alongside current bandmates David Bryan and Tico Torres, as well as former members Richie Sambora and Alec John Such. Sambora left in 2013; Such left in 1994. The frontman said he and the other current members haven’t spoken to Sambora since he left the group four years ago, but said he invites the performer, along with Such, to be part of the Rock Hall festivities. The Cars, founded in Boston in 1976, combined New Wave and classic rock sounds. This year marked the band’s third nomination. Rock Hall voters have recently opened their hearts to progressive rockers, which benefited “Nights in White Satin” singers The Moody Blues. English rockers Dire Straits, which includes brothers Mark and David Knopfler, blended blues into their music. Each year, between five and seven acts usually make it into the Rock Hall following a vote by 1,000 people, including performers, music historians and industry experts. Fans also were able to vote on the Rock Hall’s website. All of the inductees had to have released their first recording no later than 1992 to be eligible. https://www.delgazette.com/wp-content/uploads/sites/40/2017/12/web1_119415623-a9ea57e29b53476db1cc1caec21a4d11.jpgIn this Oct. 19, 2016 file photo, members of Bon Jovi from left, Phil X, Tico Torres, Jon Bon Jovi, David Bryan and Hugh McDonald pose for a portrait in New York. The band will be inducted into the Rock and Roll Hall of Fame on April 14, 2018 in Cleveland, Ohio.